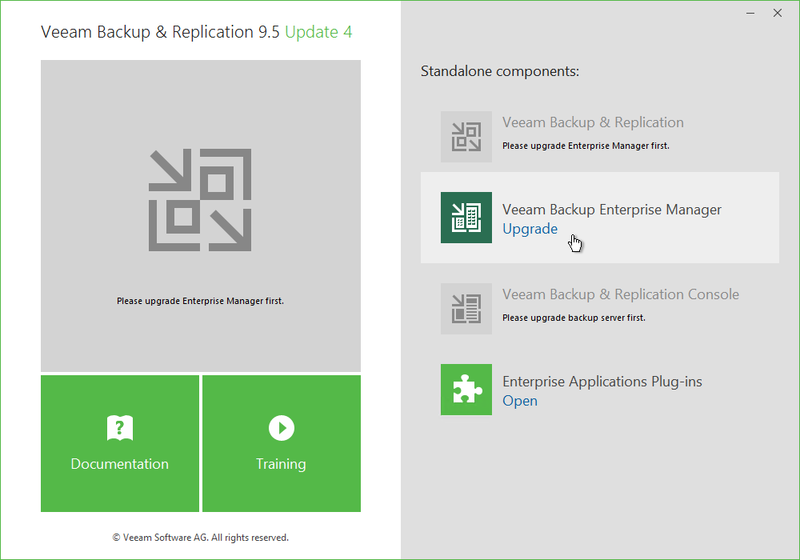 Veeam Availability Suite 9.5 Update 4 was released on Jan 22th. 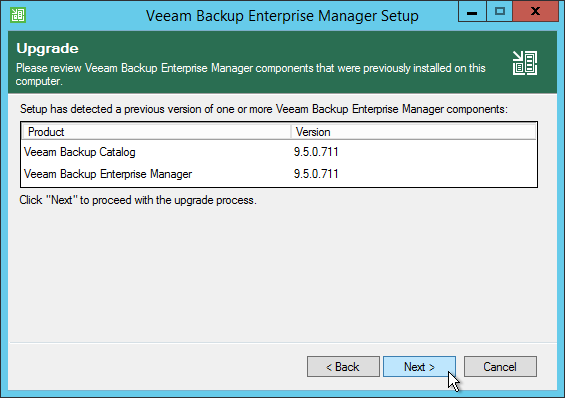 This article shows how to update Veeam Backup Enterpise Manager to Version 9.5 Update 4. Confirm that you are running version 9.0 Update 2 (9.0.0.1715) or later. 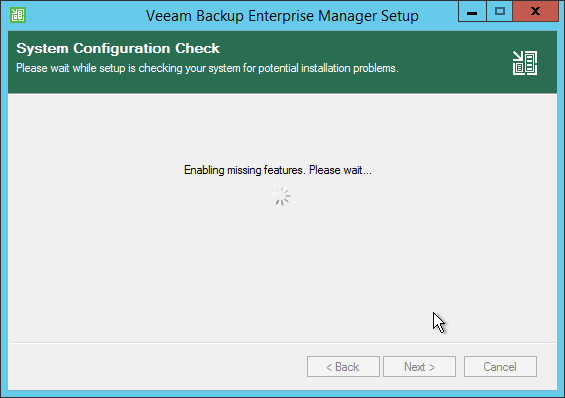 If your Backup Server is still running jobs (like SQL Transaction LOG Backup), you will get this message. 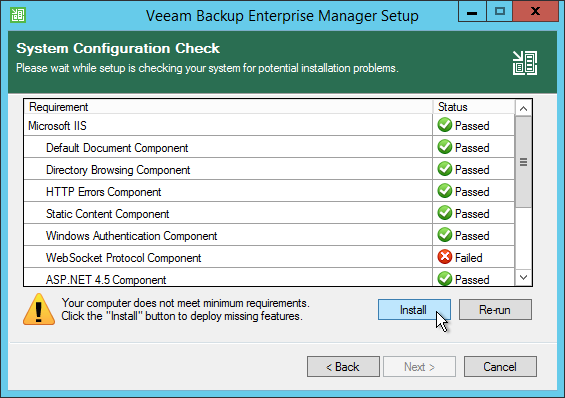 Wait for completion, stop or disable the running jobs and click on retry. 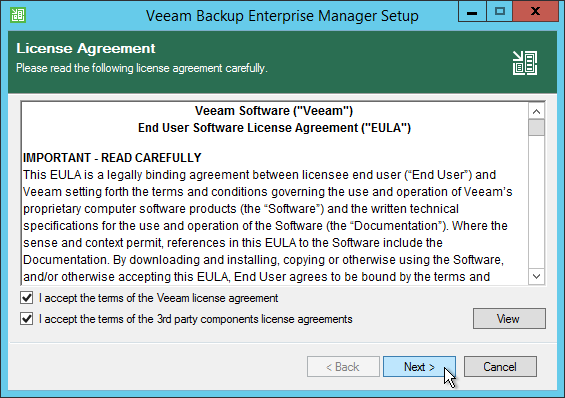 Accept license agreement and click Next. 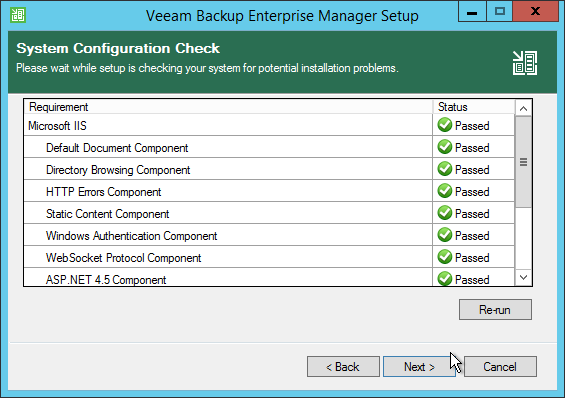 The Setup will list the installed version which will get upgraded. You can provide a new license. In a “normal” update your installed license should be valid. Setup runs checks against your system and reports missing features. Click on Install to deploy them. After that all checks should be in passed status. 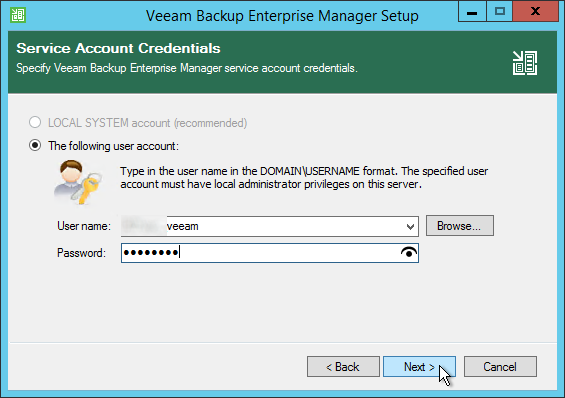 Setup needs the credential of the service account. 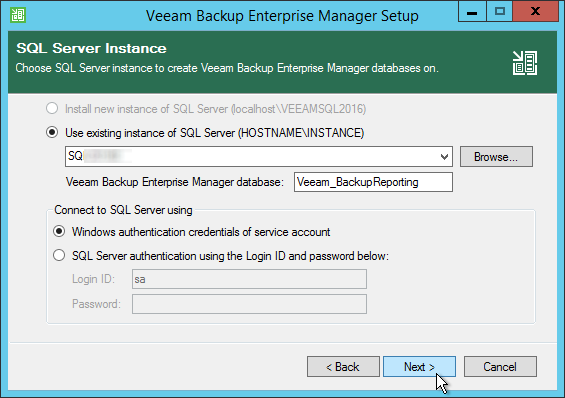 The previous used SQL instance should be shown. If SQL Server authentication is used, you have to enter the Login ID and password of the SQL User. 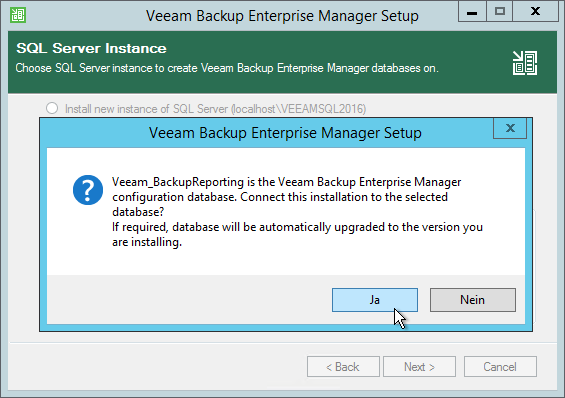 Confirm the database and the automatic upgrade. 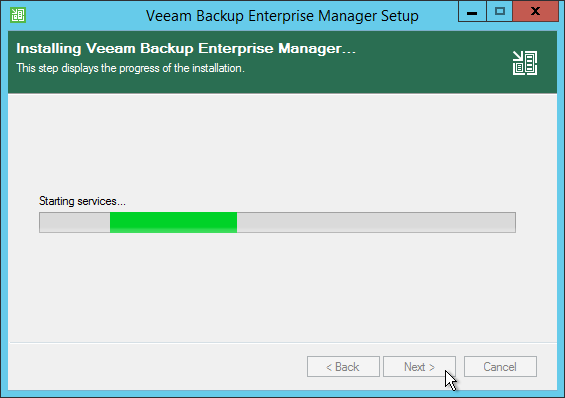 The installer will stop the service of Veeam Backup Enterprise Manager and starts the Installation. After successful installation the Service will be started. 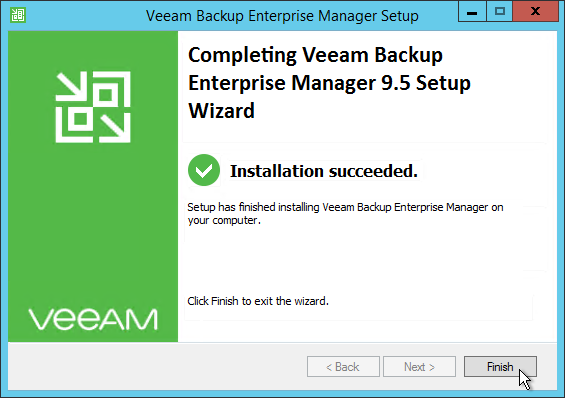 Installation of Veeam Backup Enterprise Manager 9.5 Update 4 is succedded. 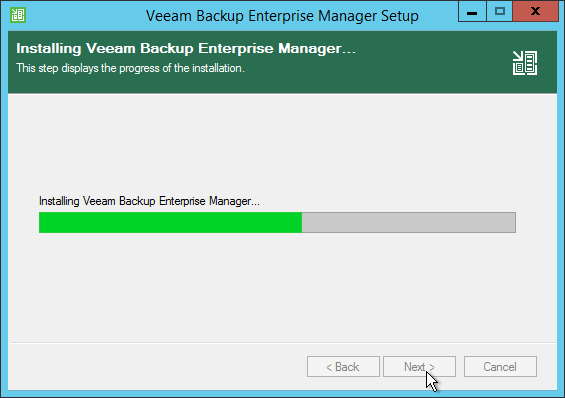 Now you can continue with upgrading Veeam Backup and Replication. 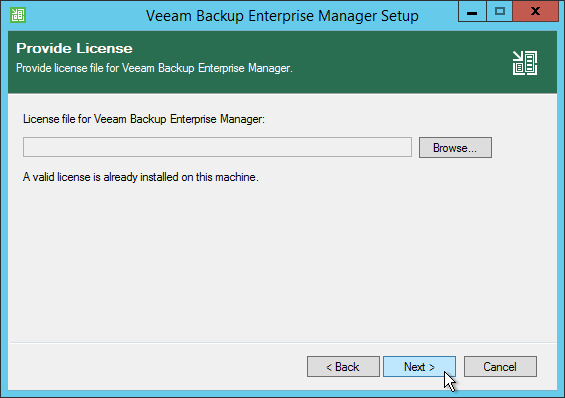 www.veeam.com – What’s New in 9.5 Update 4?